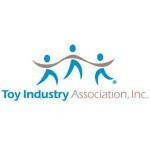 TIA rebrands itself as The Toy Association along with a new mission and strategy. Previously known as the Toy Industry Association (TIA), the organization has announced it is rebranding itself as The Toy Association. Reportedly the name change will not be the only thing changing. It will also have a brand new mission and strategic plan. The Toy Association’s mission is to revolutionize the world of toys and play. Further, its programs, products, trade shows, and consumer events drive worldwide business expansion. The Toy Association has a new tagline as well – Inspiring Generations of Play. This revised tagline highlights the organization’s one hundred years of service as well as the developmental benefits of play in kids’ lives. 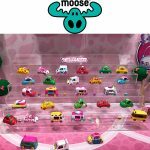 As of 2016, The Toy Association had just short of 1,100 member companies designing, producing, licensing, and delivering toys and youth-centric entertainment products spanning all kids’ ages. Steve Pasierb, President and Chief Executive of The Toy Association, stated that their new strategic plan is centered around its members. Pasierb stated that everything the company does is about its members and their business success. According to Pasierb, reengineering their strategic plan required a new mission, name, branding, new online communications, and a new headquarters to better serve both staff and members. Pasierb stated in making these changes, they reflected deeply on their purpose, discovered ways to gain agility, and become more relevant and better at delivering its members top-notch services and support. 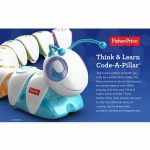 Earlier this year, The Toy Association, formerly the TIA, unveiled the top toy trends for 2017. 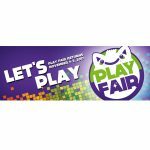 Each year they capture the top trends in the toy industry and help put on a successful New York Toy Fair, which showcases the top toys of the year and provides toy industry experts a sneak peek at the latest and greatest new toys to hit store shelves later in the year.